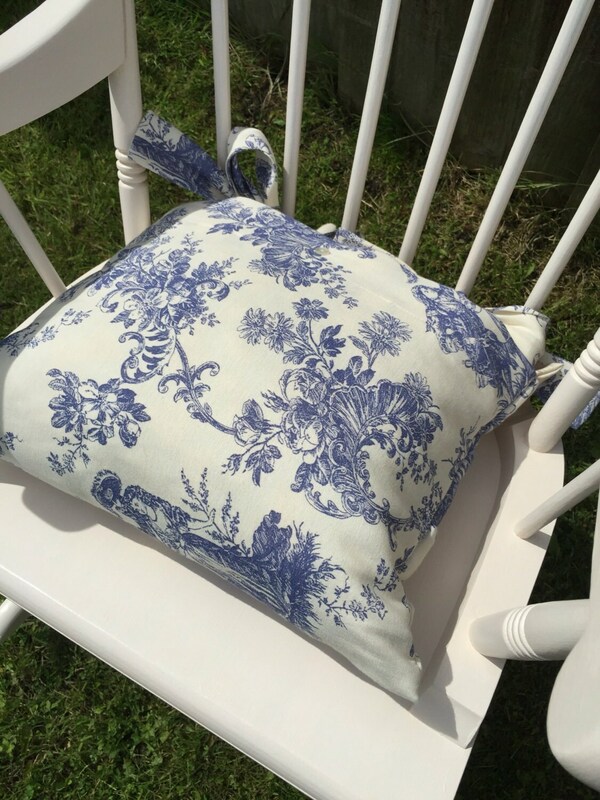 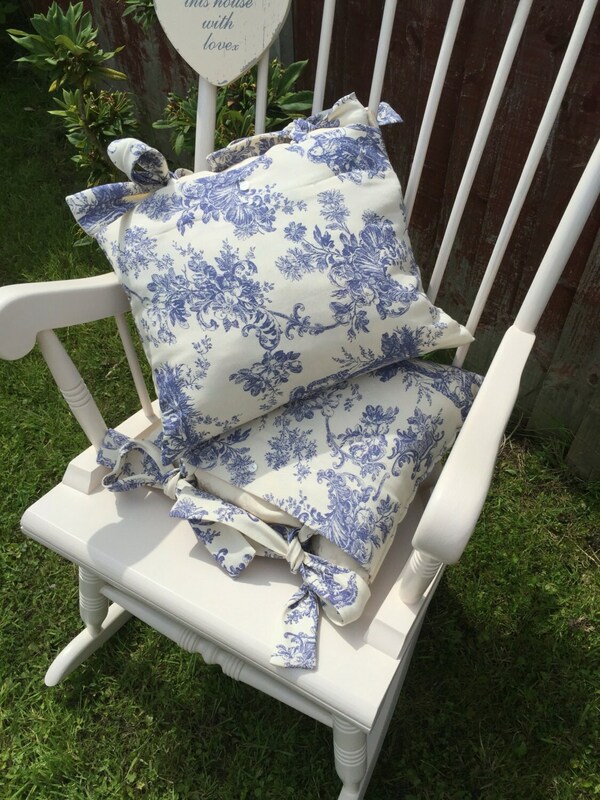 A beautiful handmade satin backed toile de jouy French cottage chic style cushion with cream contrasting inner panel, tie lengths and button fastening detail. 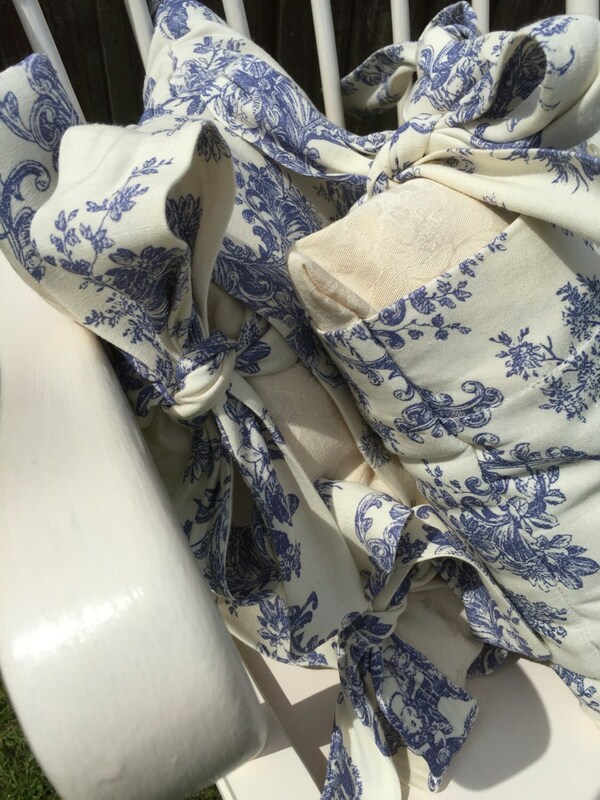 This toile is of a stylish French Louis regency pattern depicting a courting couple and the lady has a beautiful large fashionable hat. 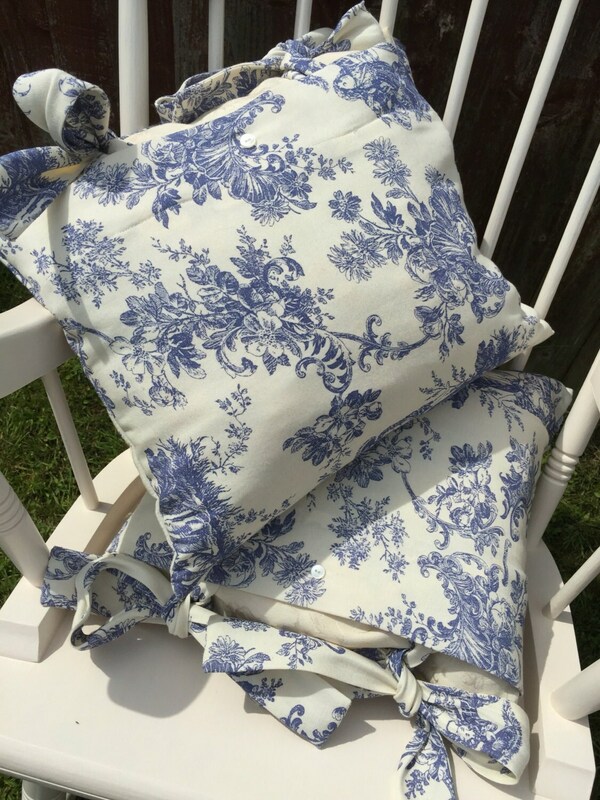 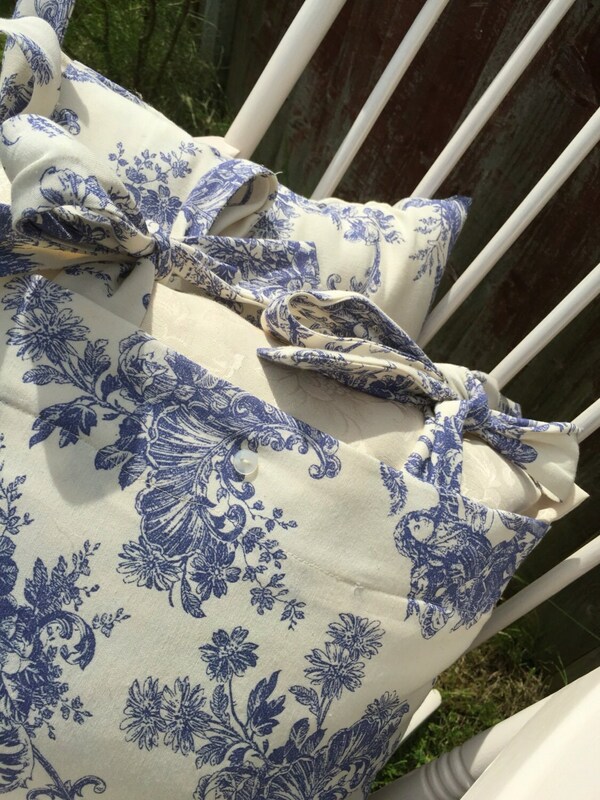 For all lovers of french vintage chic these cushions in blue and cream are pretty unique.